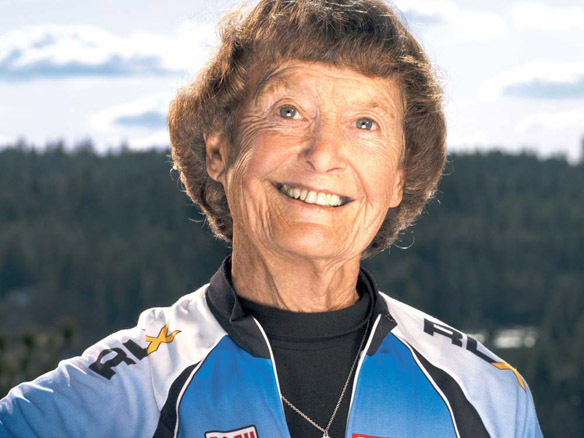 Sister Madonna Buder breaks some kind of age record seemingly every time she races. Buder has done a lot of triathlons over the years. Back in the day, she was an out of shape smoker. She began to try running, quit smoking and became a triathlete. Most recently, she finished Ironman Canada at the age of 82. She is now the oldest female to complete an Ironman distance race. Buder is able to swim 2.4 miles, bike 112 miles and run a marathon in under 17 hours. I have met Buder several times through the years at the Vineman Triathlon in California and several Ironman races around the country. She always has a story to tell and will give words of encouragement to everyone. If you ever see her at a race. Go up and say hi. The following is a home video of Buder finishing Ironman Canada. I'm sorry to comment publicly, but I'm having a hard time finding your contact info. I'm writing to inquire about permissions to the portrait of Madonna Buder used here. Any insight to origin would be much appreciated! Please email me at kristin@lisacongdon.com. I'm happy to provide more information about the book in which we'd like to feature it through email. Thanks, and looking forward to hearing from you soon!